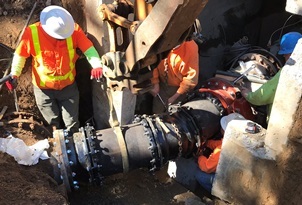 Newport's Water Distribution division is responsible for the maintenance and repair of over 90 miles of water pipe and associated valves, six water booster stations, as well as several water storage tanks. One of the biggest challenges we face is dealing with aging infrastructure that can fail unexpectedly, causing loss of water service to residents and damage to streets, sidewalks, and other property. Dealing with these issues proactively is one of our highest priorities. 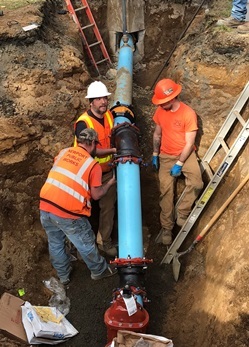 Many of the public works projects in Newport involve replacing old water distribution hardware with modern materials that can help prevent water main breaks and related disruptions to service. Although Newport is a town of 10,000, our water use is more in line with a population 2-3 times that, due to fish processing plants and our tourism industry.